The talks about applying ITSM guidelines in non-IT businesses begun more than 5 years ago. Throughout those years ITSM evangelists and pioneers of ITSM-outside-IT have discussed the process and capabilities of such migration, almost unanimously endorsing it as a great effectivity booster and costs-cutter. Still ITSM haven’t become common for the non-IT sphere. According to Atlassian statistics, only a quarter of all organizations have adopted some kind of ITSM guidelines and half of them all have never considered applying ITSM in their workplace. As I see it, sometimes companies think ITSM “Service Management is for IT only. Full stop” and immediately lose interest without getting to know what is it about. At times it can be so that the management have carefully studied ITSM and what benefit it brings, yet neither them, nor their technical team know how to correctly apply it in the context of a company. To both these categories of ITSM beginners we advise to turn to professional consultancy for a correct first step into ITSM. Throughout my work history as an ITSM consultant at Polontech I have had a few Service Management implementation cases, and can say for certain ITSM transforms operational performance of a company. Here’s one success story as an example. 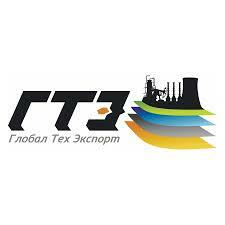 Globaltechexport Ltd. is an engineering company from Russia. They provide process equipment supply and turnkey construction for oil and gas, as well as thermal and electric power facilities. The company have been on the market for quite a long time and recently have felt the need to keep in tune with the times. They required an automated system for working with external customers. Globaltechexport SEOs described an infrastructure that could register and manage the incoming customer requests and requests for project realization, that could track all stages of project work and give access to all the necessary technical information without shifting to the database each time. Globaltechexport Ltd. set forward quite a sophisticated range of claims for their new system, and to potentially satisfy them was quite a challenge. Yet we have had a fair share of hard cases like this. We quickly determined companies needs and capabilities, worked out the optimal tools configuration and installed the whole system in just a week. Our expert team devised an intricate infrastructure using Atlassian tools. Fundamental elements of the system became JIRA – the tool for request management and project tracking, and Confluence – an ITIL solution which contains all requirements, standards and technical specifications necessary for engineering work. Tempo Timesheets. Team members log their working hours in the system and it automatically attributes them to a certain project. Project managers use it for calculating planned and factual performance rate. Since new system’s installment all the workflow processes are being logged and tracked in JIRA. Heads of departments find it extremely useful to manage projects through Gantt chart and have all the necessary for work documentation and resources accessible directly at the workflow.